Ultherapy side effects: Can it really melt your face away? Ultherapy has generated quite a bit of buzz over the past few years, but some users are reporting alarming side effects. Ultherapy is a non-invasive skin tightening procedure that uses ultrasound to stimulate collagen production. The procedure, featured on The Dr. Oz Show in 2012, has been advertised as a non-surgical lift for the neck and lower face. It has a Hollywood cult following, from Courtney Cox to Kim Kardashian — who underwent Ultherapy last winter for a neck lift. Does it work? Absolutely. The before and after pictures are impressive, with some private clinics claiming that the procedure can actually make you look 10 years younger. Terrifying much? We asked the experts to tell us what they think of these claims. Through a focused ultrasound that boosts collagen production — also known as neocollagenesis — Ultherapy can be used to reduce the appearance of wrinkles on the chest, to tighten the jowls, and even to treat fine lines around the eyes, with absolutely no downtime. The procedure lasts one hour and a half on average, depending on how many breaks are needed. Results can be seen within 12 weeks, and the effects last up to two years. Before and after Ultherapy: face, brow, under the chin, and neck. Thermage and Ultherapy share some similarities: both stimulate collagen production and are within the same price range. Technically speaking, the main difference between the two is that Ultherapy uses ultrasound technology, whereas Thermage uses radiofrequency. According to Amanda Kuschak, head of medical aesthetics at Cosmedica Clinic in Montreal, Canada, each procedure has its advantages. Dr. Arie Benchetrit is a leading Canadian plastic surgeon, a member of the American Society of Aesthetic Plastic Surgery (ASAPS), and the former President of the Canadian Laser Aesthetic Surgery Society. He is considered an authority when it comes to non-invasive procedure such as Ultherapy, which he endorses as an effective treatment for many common skin concerns. In Benchetrit’s opinion, Ultherapy is the superior technology. Terri Ross, director at Lasky Aesthetics and Laser Center in Beverly Hills, offers a more nuanced appreciation of the non-invasive treatments her practice provides. For this reason, Ross often recommends a combination of several treatments for optimal results. “Ultherapy can be performed along with superficial lasers such as Fraxel and Clear + Brilliant,” she says. 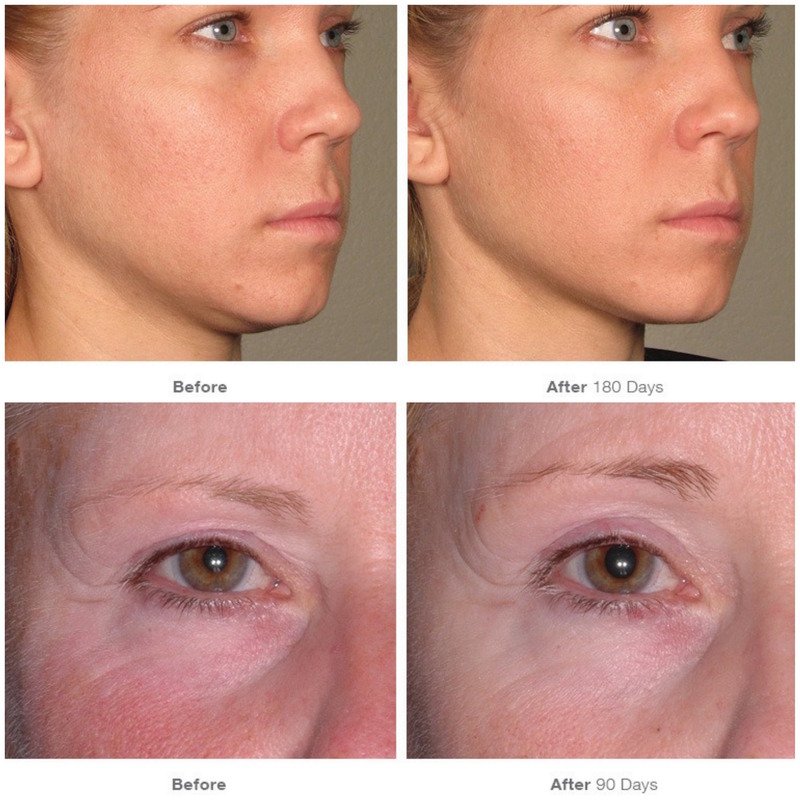 “Combining it with microneedling, IPL and peels also works great and, I feel, elicits better results.” When used with fillers — something medical practitioners call the ‘Belotero-Ultherapy Combo’ — an optimal lifting effect can be attained as the two treatments “work in synergy to lift the jawline, neck, and sagging skin,” adds Ross. In Benchetrit’s opinion, the claims that Ultherapy is causing serious side effects and complications should be taken with a grain of salt. Ross agrees that when in the hands of a skilled practitioner, there is nothing to worry about. “It’s a shame that Ultherapy is getting a bad rap for ‘melting away fat.’ Before going in for a treatment, you want to make sure the practitioner is very familiar with Ultherapy’s DeepSEE Ultrasound Imaging. Evaluating the patient’s face, neck and chest tissue by sight and with the ultrasound itself tells us the exact depth at which the energy should be delivered,” Ross explains. That being said, there have been reports of Ultherapy dissolving dermal fillers. Speak to your practitioner about this before undergoing Ultherapy if you’ve received filler injections in the last year. In one word, yes. However, to say that the pain is horrendous couldn’t be further from the truth. If you go on YouTube, you’ll find plenty of videos that show TV hosts and celebrities trying the device without any numbing cream, and for whom the treatment seems quite tolerable. There may be some redness and mild swelling immediately following the treatment, but generally no bruising. Your jaw will be a tad sensitive for about a week or two after the treatment. Although some doctors prescribe Percocet, Valium, or Vicodin, and then inflammatory meds for a week after the procedure to keep the swelling down, many patients ditch the meds and only opt for a numbing cream. For others, a stress ball and over the counter anti-inflammatory drugs, such as Aspirin, are all it takes. During 60% of the treatment itself, patients experience only very little to moderate discomfort. At its worst, the pain is likened to a bad toothache, and this only occurs whenever the device is placed directly over the jawbone. The bouts of pain last for approximately four seconds at a time. Some patients also compare it to menstrual cramps or a bad headache. Three different transducer depths can be used during a treatment so the energy can be focused differently. “Some patients want something done, but they don’t want surgery. I was a very early adopter of lasers and injections for that reason,” says Benchetrit. Choosing between Ultherapy and plastic surgery depends on the patient’s condition and how they feel about going under the knife. Cost can also be a determining factor. For instance, according to 2016 statistics from the American Society of Plastic Surgeons (ASPS), the average cost of a brow lift is $3,400, while a full facelift can go for $15,000 or more. In comparison, Ultherapy is much more affordable. At Benchetrit’s practice, one session retails between $1,200 CAD (roughly $900 USD) for the chest or upper neck, and $3,500 CAD (roughly $2,700 USD) for the full face and upper neck treatment. That being said, the Montreal plastic surgeon makes one thing clear: non-invasive treatments such as Ultherapy – no matter how technologically advanced – will never replace surgery. Dr. Kirk Brandow, a leading board-certified plastic surgeon in Philadelphia and New Jersey, agrees that surgery is a better option in the long run. “Patients would be better off pursuing surgical treatments such as a facelift, brow lift, eyelid lift, or neck lift,” he says. Even if they cost more money upfront, surgical procedures are often more effective and provide longer-lasting results.